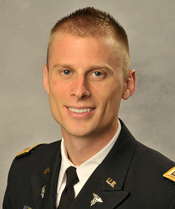 Brian Sindelar, MD, graduated from the University of Illinois Champaign-Urbana and subsequently completed his medical education at the University of Illinois in Chicago. He began his neurosurgery residency training at the University of Florida in 2012 where he took particular interest in surgical management of both cranial and spine pathologies. Dr. Brian Sindelar also has focused his attention on traumatic brain injury research. This research has led to numerous book chapters and publications that have been both locally and nationally recognized by the Florida Neurosurgical Society, National Injury Prevention Foundation, and the American Academy of Neurological Surgeons. He is currently undergoing both pre-clinical and clinical trials at the University of Florida and in collaboration at other institutions. In his free time, he enjoys both traveling and running.